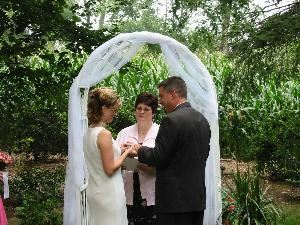 Beautifully crafted, heartfelt and inspiring, personalized Weddings (and all other “Rite of Life” ceremonies) presented by an experienced minister. All faiths, locations and types of ceremonies welcomed. Serving Adams, Dauphin, Harrisburg, York and Lancaster Counties in Pennsylvania and Harford and Northern Baltimore Counties in Maryland.